Mr NATAN SHARANSKY’s Facebook page describes him as Former Prisoner of Zion and Deputy Prime Minister of Israel, current Chairman of the Executive of The Jewish Agency for Israel and grandfather of five. 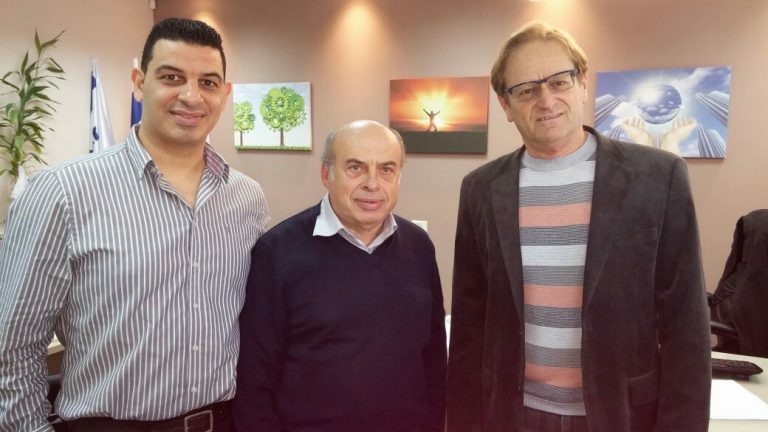 Recently Mr Sharansky (center) paid a visit to students at our new Haredi learning center at Rehovot Sci-Tech College. These young Haredi men are on an accelerated course in computers, website-building and programming along with personal empowerment. Partners in this valuable venture are Israel Sci-Tech Schools, the organization “Acharai” and the Jewish Agency for Israel. Students and educators were speechless after hearing Mr. Sharansky’s life story and grateful for his words of encouragement and support.